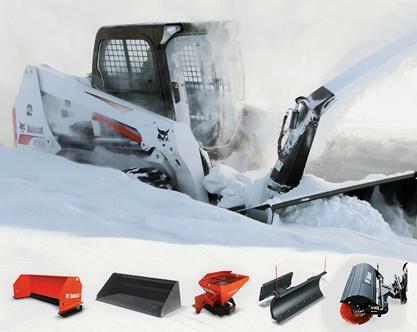 With the right attachments, your skid-steer loader, all-wheel loader, mini track loader, utility vehicle or utility work machine can become an unstoppable, snow-removing machine. 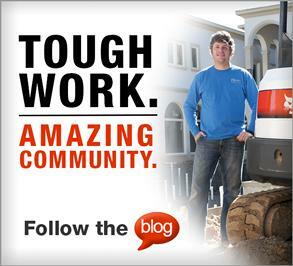 Here’s our list of the eight must-have attachments for snow removal. Angle broom — An angle broom is ideal for sweeping light snowfall (6 inches or less) from sidewalks, driveways, jobsites, parking lots and loading docks. Available widths often include 48, 68 and 84 inches. Scraper — The scraper has a self-sharpening cutting edge that breaks up and removes hard-packed snow and ice. The convex disc oscillates and spins on the ground — getting under the ice and snow. Common widths include 36 and 45 inches. Snow blade — This attachment is great for removing light or moderate snow from driveways, parking lots or sidewalks. Look for a blade that angles 30 degrees to either side to move snow where you want it. Width options vary depending on the kind of machine you’ll be connecting it to. Snow bucket — This bucket is great for handling large volumes of snow. 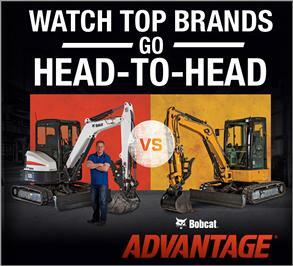 Choose one with a high back to help with snow pushing and with straight sides to cut through big piles of snow. Sizes range from 68 to 100 inches wide. Snow pusher — The snow pusher’s free-floating blade removes snow on uneven surfaces without causing damage to paving stones, decorative concrete or sloped sidewalks. Make sure the blade can also be kept in a fixed position to clear hard-packed snow and ice. Widths are available in 96 and 120 inches. Snow V-blade — The V-blade can plow through the deepest drifts and push large piles of snow in parking lots, driveways and roadways. Fingertip controls will make it easy to work the hydraulically operated blade. 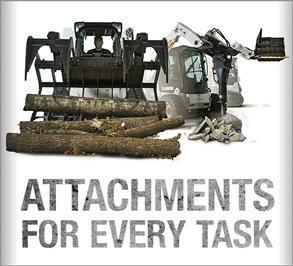 Select one with multiple blade configurations for maximum versatility. Snowblower — A snowblower can throw and blow snow — even deep drifts — to clear a path on driveways, sidewalks and parking lots. The rotating chute directs snow where you want it to go. There’s even an optional truck-loading chute available for some models. Several widths commonly range from 36 to 84 inches, depending on the machine it will be attached to. Spreader — This attachment can apply salt and sand to parking lots, sidewalks, driveways and more. When high standards are on the line, the spreader is the perfect attachment to clear snow and ice right down to the pavement.